Sometimes my child looks at me like she wants to chew my face. I take it as she is hungry or a new tooth is coming. Or she is a sociopath. She has so much from her dad. You need one big nose (an adult will do). One baby fist with long finger nails that nobody dares to cut. The baby sits just above your head as you lay down and her fingers goes in to your nose and gets STUCK. It’s called lock and pull. 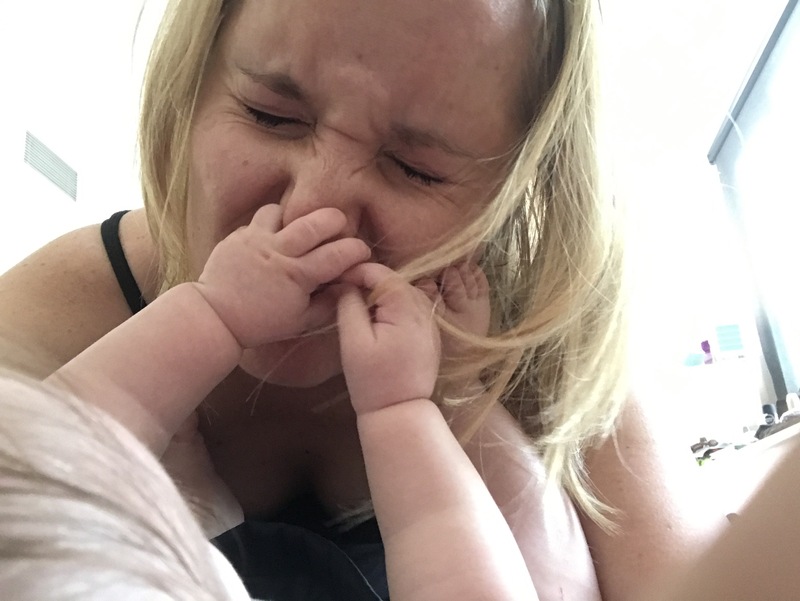 Baby now pulls her fingers upwards against herself making you look like a pig in pain. This is extremely fun to watch if you are like me and get very entertained by other people getting hurt. And then we just have the normal nose grab. When you think you go in for a cuddle and want to take a cute picture. Occasionally you get a foot in your face at the same time. Feels like she still got it ..! I remember this! HaHA! Even 30 years cannot remove the sensory memory of those special nose grab moments. This is not what I was planning to post today, but I just couldn’t resist. All my kids are grown, but some memories never fade.